Let your blog visitors to share your blog contents easily with other popular website such as Facebook, Twitter, Google Plus. They can also simply bookmark your blog, print or E-mail to his/her friends or family. This tactic helps you most to bring traffic to your lovely blog. This is a plugin named AddThis Share Button. You can setup this sharing widget just below your post summary or post title. 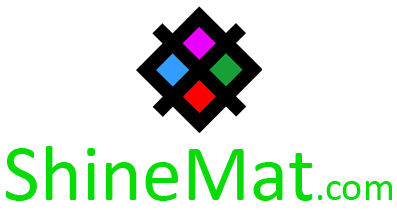 This is a gadget which is one of the world’s most popular social sharing and bookmarking tool, and millions of websites are using this. This tool also allows you a numeric counter to see how many times share or bookmark your site till now. We also use this widget for our respected readers to spread our voice more. Just see our AddThis Sharing Button below this post for example. 4. Click "Expand Widget Templates"
8. Reload your any blog post page and see the AddThis buttons are appearing after your post. That’s all. If you have any problem or need to customize it please ask us friendly. We’ll try to serve you best. 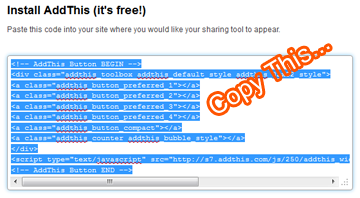 UPDATE: Learn how to add blog title or a short custom message in AddThis Sharing widget. See an example picture below. Have fun! May Allah bless you. Thanks a lot. You explain very clearly. thanks for Sharing AddThis Social sharing Widget installation.